It’s a new day, which means it’s time for a new game. Today’s game is Walkers & Talkers. Not only is this a fun game, but it can also be incorporated into a message or lesson about listening, speaking up, guidance or trust. Set up an obstacle course in your meeting room, gym or even outside if it’s possible. I generally tend to just use things that I have in my office or things lying around our church. You can let participants crawl under, climb over or even climb through things. In addition, you can have them perform certain tasks at predetermined locations (like carry an egg with them without breaking it or eat something). The real challenge for this game of course, is not the difficulty of the obstacle course, but that they must navigate the course while blindfolded. To help them accomplish the task, each person will be partnered with someone who will be able to shout directions at them from a distance. The key to this game is that one partner must be able to clearly communicate while the other must be able to distinguish their partners voice and then listen to their instruction. This game is as simple as seeing who can run through the course fastest while accomplishing any assigned tasks that you have along the way. Who ever comes out first is the winner! 1. Explain the course to the “talkers” and set up cones so they can see where they must direct the “walker”. 2. Put all the “talkers” in a confined area. DO NOT let them walk beside or get too close to their partner. The game is about distinguishing their partner’s voice and listening- if they are close by, the game isn’t very difficult or fun for that matter. 3. 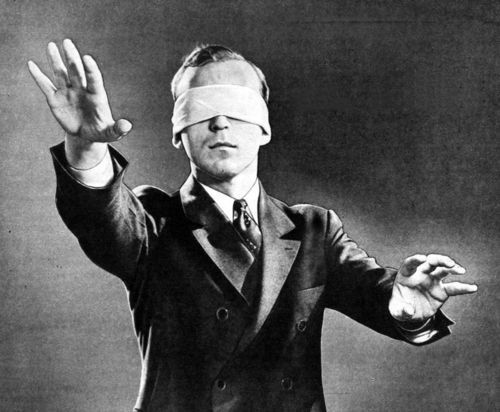 Make sure all blindfolds are large enough to prevent the “walkers” from seeing (even seeing the ground can be an advantage). 4. Add some other “talkers” to yell out crazy instructions just to make it a bit harder for the “walkers” to hear. To get more great games, subscribe to our blog and follow us on Twitter @stumingames!